Convert MTS to MPG/MPEG and other 1000+ video formats easily and quickly. 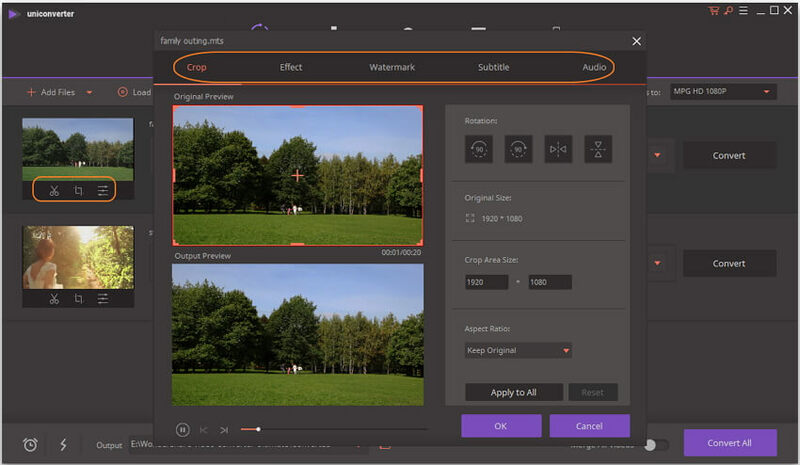 Edit MTS files with trimming, cropping, rotating, adding watermarks, applying effects, etc. Download online videos from YouTube and other sites by pasting URL directly. 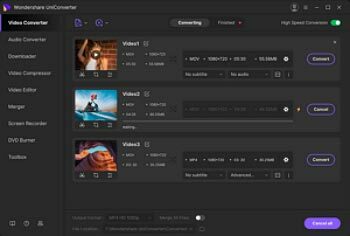 Versatile toolbox combines Screen Recorder, GIF maker, Fix Media Metadata, video compressor, etc. Generally, we get AVCHD .mts files from brand camcorders, such as Canon, Sony, Panasonic, JVC, etc. But it's always very inconvenient for us to play, edit, upload, and even import these files, as they cannot be widely compatible with various multimedia devices. While in fact, there is a way helping us to reach it. What we need is an MTS to MPG Video Converter, or MTS to MPEG Converter to convert MTS to MPG/MPEG, and then we can easily play, edit, upload, and import the files. Now, download MTS to MPG/MPEG Converter, install and launch it on your computer. Convert MTS video to MPG/MPEG and 1,000+ formats like AVI, MKV, MOV, MP4, etc. Versatile toolbox includes fixing video metadata, GIF maker, casting video to TV, video compressor, and screen recorder. Step 1 Add MTS files. Click the Add Files button to add MTS files, or just drag & drop the files to the file list. You can add multi-files at a time to do batch conversion. Before converting MTS video to MPG or MPEG, you can edit it to make a personalized and perfect video for enjoy and sharing. Click one of the Edit icons, you can trim, crop the video, add effects, watermark, and subtitle to create a customized video. You also can set starting time and ending time to choose your favorite parts of the video by trimming function. If there are many video clips, you can merge them together when converting. Step 3 Set the output format as MPG/MPEG. Click the inverted triangle icon beside the Convert all files to: button to reveal output panel. And then select the Video > MPG category to choose your desired format. Also choose the desired video resolution you want. Step 4 Start converting MTS to MPG/MPEG. Now you can click the Convert All button to convert MTS to MPEG/MPG. 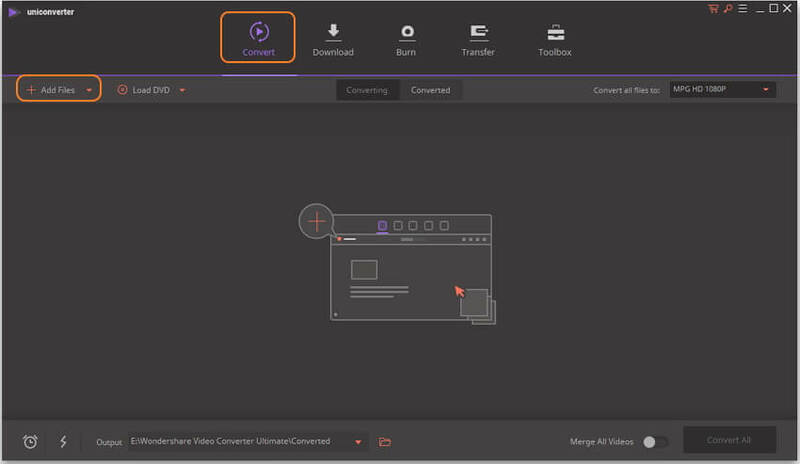 This video converter will show you the time consumed and left on the conversion panel. You are also allowed to pause to stop the process if you wish. The conversion time depends on the size of the video you are converting. 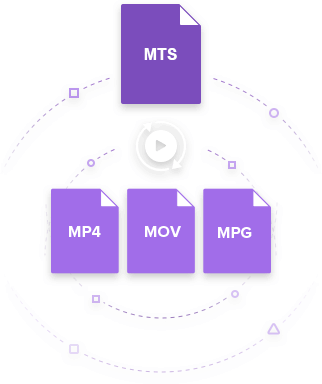 Speaking of the main reasons that motivates MTS to MPG/MPEG conversion, it can be included to the file size and compression rate aspects: The compression rate of MPEG is much faster than that of M2TS. And MPEG not only supports real-time compression, but outputs better video quality and fits itself to the disk as soon as being created. Furthermore, MPEG doesn't require data compensation at all, i.e. frame to frame interpolation. Convert MTS to MP4 in Mac/Win: This guide teaches you how to convert MTS to MP4, so you can play MTS on some popular devices or players. Import MTS to Adobe Premiere: Wanna convert your MTS to Adobe Premier without quality loss? Consider it done here.